Congratulations to all winners and thank you to all entrants – your support is what helps keep these giveaways coming. Ashampoo has most kindly donated 10 licenses for its highly rated WinOptimizer software to give away to our subscribers. This is the very latest full version of the software, Ashampoo WinOptimizer 11, just released on 14th April. WinOptimizer 11 would normally sell for $39.99us but DCT subscribers now have the chance to win a license absolutely free simply by submitting a reply to this article with a comment… we’d prefer if you commented on the Ashampoo WinOptimizer software. If your comment does not appear immediately it’s because first comments must be moderated, it will appear shortly! We all like fast and secure computers, but only constant regular system maintenance and time-consuming optimizations will keep them that way. 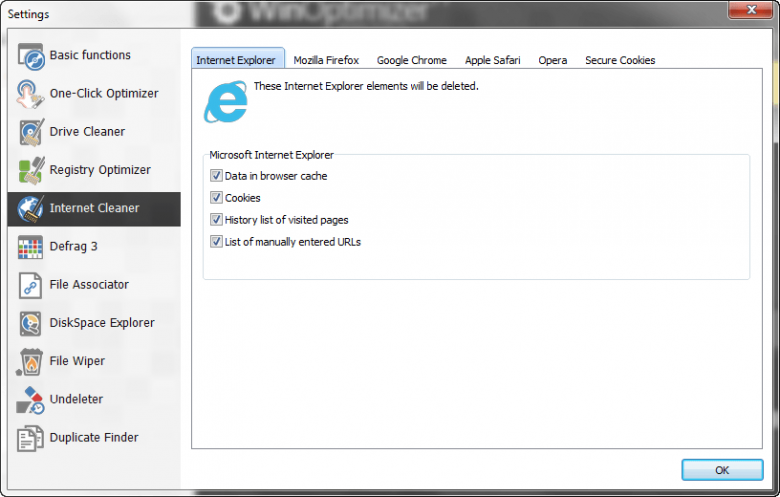 Our WinOptimizer will do the work for you, easy, fast and efficiently. It will give you maximum performance and security and save you precious time so you can get real work done instead. The screenshot above shows the “Modern” interface, there are also two versions of a “Classic” skin available to choose from. Note the “Game Booster” and “Live-Tuner” options at bottom right which can be utilized to optimize the PC for game play or specific running programs. 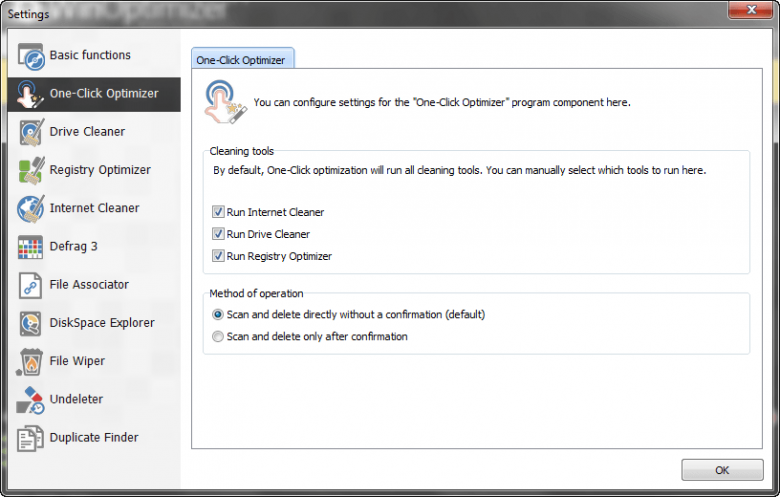 Clean what you want when you want, regularly and automatically utilizing WinOptimizer’s built-in scheduler. One of WinOptimizer’s features I particularly appreciate is the built-in “Backup Manager” where all changes are recorded and stored for possible restoration. While Ashampoo WinOptimizer’s reputation is second to none, we are all aware that strange things can happen with our infernal machines, and Ashampoo’s inclusion of this essential component is definitely the thoughtful and responsible route. 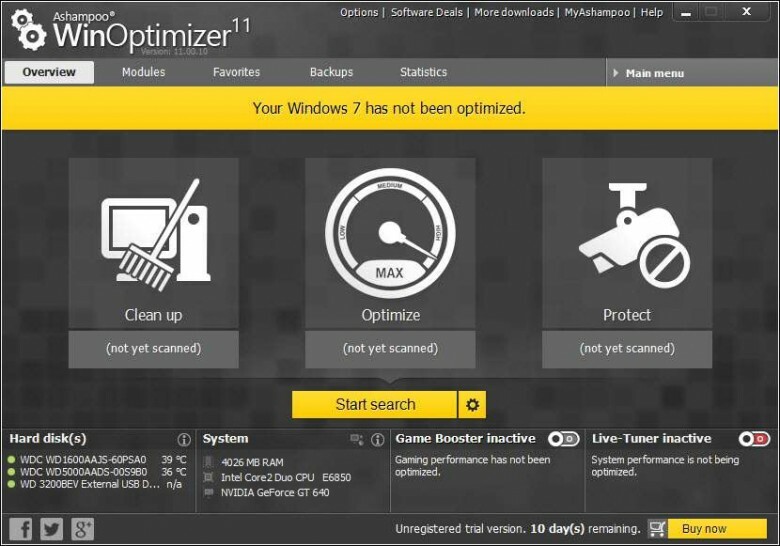 Ashampoo WinOptimizer is simply the most comprehensive all-in-one maintenance suite there is. Throw in the fact that it is also highly customizable and user friendly, and you have one heck of a software. To enter: post one reply to this article commenting on the Ashampoo WinOptimizer software. The contest ends on 27th April at 00:01 (EST), any entries made after that time will not be eligible for a prize. Your comment MUST be made from a VALID email address – disposable email addresses will not be eligible. Each user is allowed only one entry. In the spirit of fairness, abusers of this rule may have all entries removed, be banned from this contest, or banned from future contests. Shorty after the contest ends the winners will be chosen by random number generator as winners of 1 FREE license each. Winners’ names will be posted on the original giveaway page. Please be sure to check back on this page to see if your name is added as a winner! Winners will be notified by email at the email address they provided when leaving their comment – be sure to use a valid email that you check regularly. Winners must claim their prize by submitting a contact form which will be available (on this page) once the draw has been completed and winning names published. Winners must claim their license within 7 days. After the seven (7) day period, unclaimed prizes will be distributed at the sole discretion of DCT. Here’s your chance to replace all those separate programs needed to keep your machine running smoothly and responsively with just one comprehensive professional suite, so get those comments in. A big THANK YOU once again to Ashampoo! I use Ashampoo WinOptimizer 10. Very pleased with the work program: bysto works without a glitch. The computer I have is quite old, but with Ashampoo WinOptimizer – works well, no brakes. I would be happy to win an official license Ashampoo WinOptimizer 11. Thanks! Ashampoo WinOptimizer is a good software to increase PC performance.Its One Touch Optimization gives the user the golden chance to Optimize PC at a glance. Ashampoo is one of the best optimizer. Ashampoo WinOptimizer evolves always in the right direction for providing windows stability. I’m a novice user & would love an all in one simple to use cleaner. I just love Ashampoo software. I am using the free 2014 version and would very much like to upgrade to this latest commercial version. I’ve enjoyed having Ashampoo WinOptimizer versions 6 thru 10 and the trial for version 11 has just expired, A full version will be very much appreciated – thanks heaps. WinOptimizer is the best routine-maintenace sofware I have ever had contact with. Thank you for this great giveaway. I have actually WinOptimizer 10 and it’s really fantastic, so I’d like to upgrade to 11. This is a close to “Set it and forget it” as it gets when it comes to computers. I’ve used Ashampoo software for many years and consider it the best in the industry. 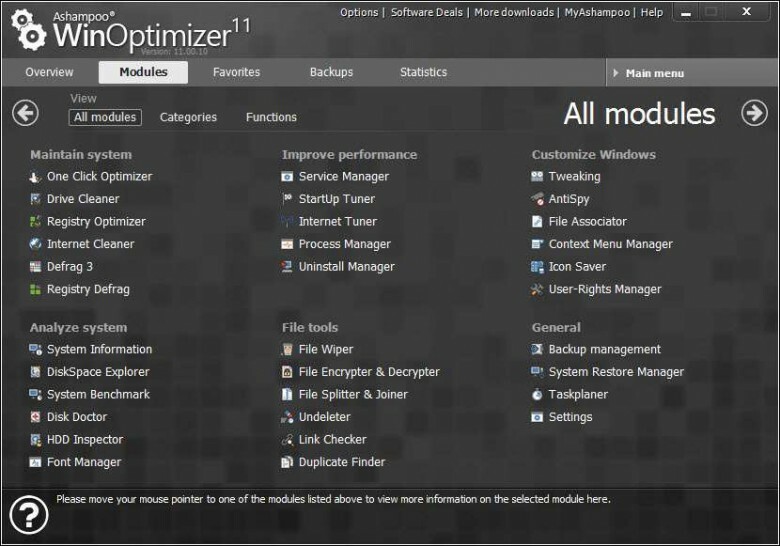 Winning a copy of WinOptimizer 11 would be a GREAT birthday present!! I like the idea that this one piece of software will eliminate several others that I use. I run WinOp 9 and would like to upgrade. Thanks to DCT and Ashampoo for a shot at the newest model. I have lots of Ashampoo programs, paid and free, and would be very happy to add winoptomizer to my useful collection. I’ve used a few of their older products and had good results. This product appears to be quite good. I hope so anyhow. Maybe I will win one and find out for sure. If so, I will besure to post my results for all to see. Hello, I use the software from ashampoo years and I am fully satisfied. The ashampoo ago iSoftware of excellent and easy to use. I hope to win a license Ashampoo WinOptimizer 11.